Not since the days of Hemingway, Pound and Joyce has so much talent been invested in small book presses and little magazines in every part of the country and indeed the world. In order to bring these writers to a wider audience, the Pushcart Prize every year requests that editors from hundreds of presses nominate their year's best. Nominations are also made by Pushcart's staff of Contributing Editors, who then assist in the final choice. Pushcart Prize XLII is a celebration of a wide variety of poets, essayists and short story writers from more than 50 presses. As ever, most writers in this edition appear in the series for the first time. 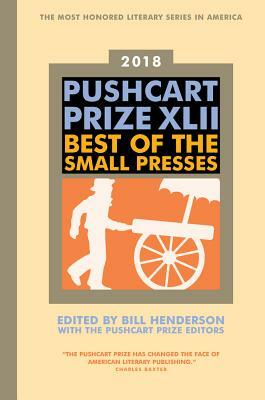 The Pushcart Prize has been honored with a Lifetime Achievement Award from the National Book Critics Circle and is acclaimed by writers, readers and reviewers internationally.